Get a trajectory data file object using addfile_hytraj function from HYSPLIT trajectory endpoint data file. It has two dimensions of trajectory (trajectory number) and obs (endpoint number in one trajectory. maximum number is given if the endpoint numbers are not identical). The variables are time, run_hour, lat, lon, height, PRESSURE and other output meteorological parameters. All variables have the two dimensions, so we can get 2-D data arrays from the file object. 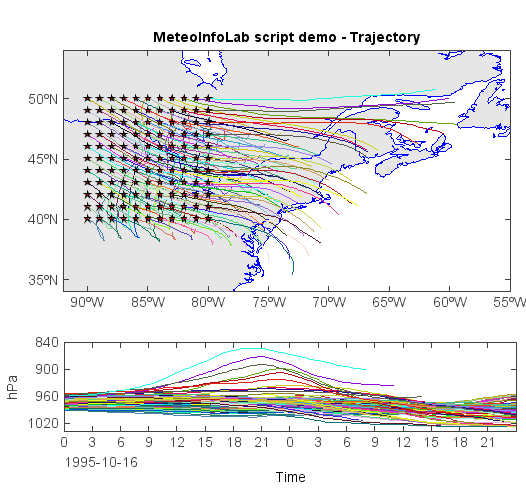 The lat, lon data can be used to plot trajectories. Change the legend of the trajectory layer. 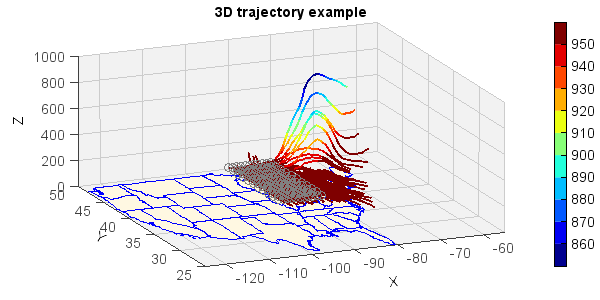 Plot trajectories in a 3-D map colored by pressure values. Trajectory polyline and start point layers can also be got directly from the file object using the functions of trajlayer and trajsplayer. The layers can be plotted in a map axes. 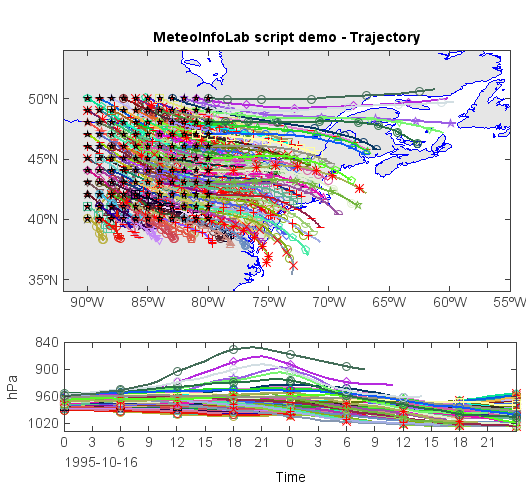 The height or pressure variationdata along trajectories can be obtained by trajvardata function of the file object. 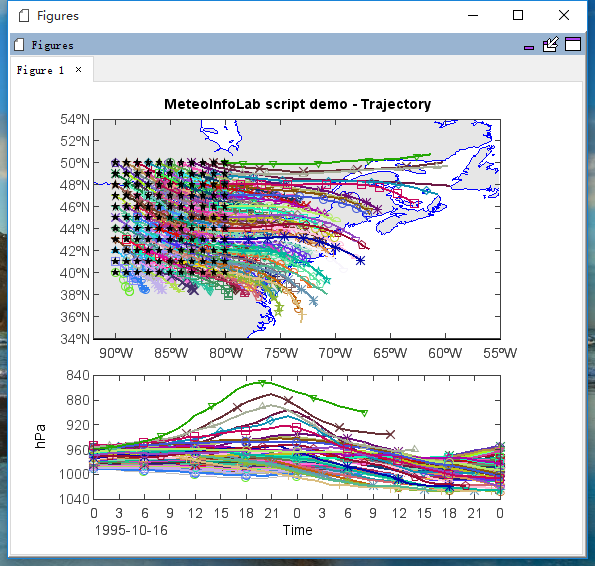 The parameter is the column index of the HYSPLIT trajectory endpoint data file. trajvardata(12) means to get trajectory pressure data, while trajvardata(11) is used to get trajectory height data. © Copyright 2010-2018, Yaqiang Wang. Created using Sphinx 1.6.3.